The All New 2017 Rolex Oyster Perpetual Sea-Dweller 126600 “Red Writing”. The All New 2017 Rolex Oyster Perpetual Sea-Dweller “Red Writing”. 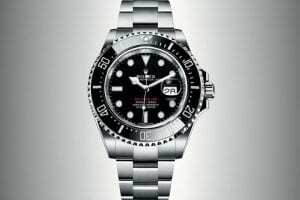 On March 22nd 2017 Rolex announced the discontinuation of the 40mm Sea-Dweller for it be replaced with the new 43mm Rolex 126600. The new model features a distinctive Gloss black dial with “Sea-Dweller” in the classic red font used on the very first model back in 1967 on the Rolex 1665 to commemorate the 50th anniversary of the Sea-Dweller. The dial also features large Chromalight hour markers and hands for the watch to be still visible in the dark depths of the ocean. So what’s new with this model? The watch now has a larger 43mm 904L stainless steel case and features a completely new calibre 3235 movement developed entirely by Rolex with the ability to withstand shocks and magnetic fields, not to mention its impressive 70 hour power reserve and hold the ultimate precision in time-keeping. Its not just the movement that’s new, the Rolex 126600 now has a sapphire crystal cyclops above the date window to make the date more legible underwater, although this has caused a slight stir with Sea-Dweller fans! The depth rating still remains the same to its predecessor (4000ft = 1220m) although that is nothing compared to the Deepsea’s talent! 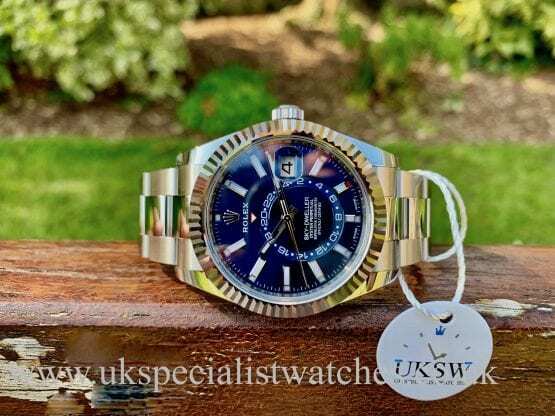 Without a doubt the new Sea-Dweller will be the sports watch to own at the end of this year with waiting lists at Authorised Rolex Dealers getting bigger and bigger, its a must have piece. 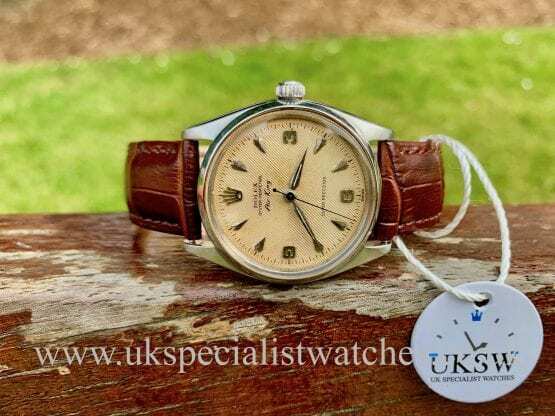 The current UK list price for the watch is £8,350 but if you want to beat the waiting lists you might be expecting to pay a lot more to get your hands on one. Please call us if you wish to register your interest in the new 2017 Rolex Sea-Dweller 126600!